The United Nation's atomic agency certified Saturday that Iran has met its commitments under a landmark nuclear deal with six world powers, triggering the lifting of international sanctions. "Iran has completed the necessary preparatory steps to start the implementation," said Yukiya Amano, director general of the U.N.'s International Atomic Energy Agency (IAEA), referring to the nuclear agreement signed between Iran and six world powers in July. "This paves the way for the IAEA to begin verifying and monitoring Iran’s nuclear-related commitments under the agreement," Amano said. "It is an important day for the international community." 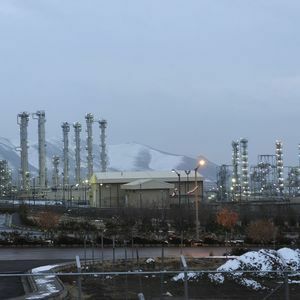 Certification by the agency was the final step to allow Iran to immediately begin to recoup some $100 billion in assets frozen overseas. Iran expects to increase its oil production capacity in the coming months, and to launch large infrastructure projects that would stimulate economic growth after years of stagnation due to smothering economic sanctions. Iran will now start to work with the IAEA to implement additional monitoring and verification measures at its nuclear facilities and mines, as agreed to under the nuclear agreement, Amaro added. 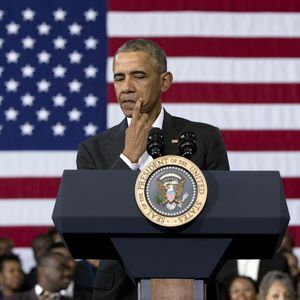 In an executive order, President Obama revoked U.S. nuclear-related sanctions on Iran. He told Congress the move is warranted because the implementation "marks a fundamental shift in circumstances with respect to Iran's nuclear program." Secretary of State John Kerry told reporters Saturday the lifting of the sanctions expands "the opportunity for the Iranian people," he said. "Today marks the first day of a safer world." The milestone was reached "thanks to years of hard work and political dialogue," and it comes with a "separate long-term diplomatic effort" to gain the release of five Americans, Kerry said. "While the two tracks of negotiations were not directly related, there is no question the pace of the progress on the humanitarian talks accelerated" as the nuclear talks progressed, he said. Kerry acknowledged the nuclear deal's implementation "does not wipe away all the concerns the international community has rightly expressed about Iran’s policies and actions and choices in the region." But responding those issues "would be much more complicated if the nuclear issue was not addressed," he said. 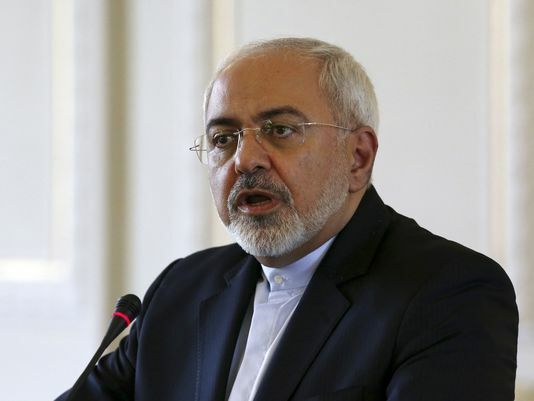 European Union representative Federica Mogherini, in a press conference with Iran's Foreign Minister Javad Zarif, said international nuclear sanctions on Iran have also been lifted. China, Russia, Germany, France, Britain the United States and Iran now "will cooperate on peaceful uses of nuclear energy. Iran sanctions related to its nuclear program are lifted," she said. "This achievement clearly demonstrates that with political will, perseverance and through multilateral diplomacy we can solve the most difficult issues and find practical solutions that are effectively implemented," she said. "This is an encouraging and strong message that the international community must keep in mind in our efforts to make the world a safer place." While critics in the U.S. Congress have warned Iran could use a windfall of cash and business income to support terrorist groups and expand its ballistic missile program, the benefits of new oil, trade and financial opportunities from suspended sanctions is likely to be a windfall for U.S. and European businesses as well as for Iran. On Saturday, Iran's Minister of Road and Urban Development Abbas Akhoundi announced that his country plans to purchase 114 airliners from Airbus Group SE, according to the Tasnim News Agency in Iran. 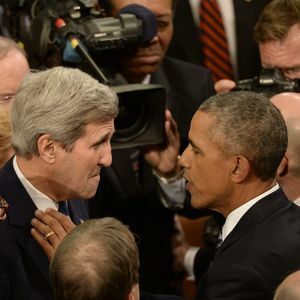 On Friday, President Obama empowered the Secretary of State John Kerry to allow the export of U.S. civilian passenger aircraft to Iran after the IAEA certification. Sanctions relief is important to the Iranians because they dislike feeling like a pariah state, Germany's ambassador to the Washington, Peter Wittig, told reporters in a briefing at the German embassy Friday. "They were a heavily sanctioned country, which made them feel like some kind of an outlier, which they were," Wittig said. But direct economic relief, and the release of Iranian cash in multiple foreign bank accounts will not be immediate, he said. "Frozen assets are sitting all over the place," he said. "To defreeze these frozen assets is a time-consuming process. This will be a long haul." Oil prices are so low that estimated annual revenues from exports by the oil-rich country will be less than half original expectations when the nuclear negotiations officially began in November 2013. The U.S. Treasury is expected to issue guidance on what it will allow foreign banks and businesses to do in their dealings with Iran without running afoul of U.S. sanctions that will remain on the books. All U.S. sanctions remain in place for the next eight years, and sanctions targeting Iran’s support for terrorism and human rights violations are not included. Earlier Saturday, the chief of the Central Bank of Iran said he expects European banking sanctions to be lifted and for the U.S. treasury to stop prosecuting European companies that do business in the U.S. and Iran. Hossein Yaghoubi Miab said the changes will open the door to financial assistance and economic development loans from abroad, though not from the United States. "International institutions can offer development loans to finance development projects in the country within frameworks of the conventional international regulations," he said, according to Iran's Islamic Republic News Agency. The agreement, struck after decades of hostility, defused the likelihood of U.S. or Israeli military action against Iran, something Zarif alluded to, according to the Associated Press.